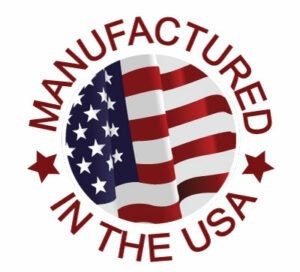 Manufactured in the USA | Matcor, Inc.
MATCOR proprietary products and systems are manufactured in our Chalfont, Pennsylvania ISO 9001:2015 facility, where we tailor corrosion prevention solutions to fit your unique needs while meeting the tightest of deadlines. MATCOR’s cathodic protection systems include an array of proprietary impressed current linear anodes, deep anodes and systems, probe anodes, marine and water anodes, AC mitigation systems, and reference electrodes, in addition to related system components such as cathodic protection rectifiers, splice kits, cables and junction boxes. Learn more about MATCOR’s products. MATCOR’s commitment to manufacturing in the United States with quality materials and processes is unique and beneficial to our customers. All of our proprietary products are manufactured in-house, with no subassemblies manufactured by third parties. This capability permits total control of product quality. Our flexible manufacturing processes are well positioned to offer quick turnarounds. We adhere to the most stringent quality control and safety programs required by US regulatory bodies. MATCOR’s proprietary products are based on mixed-metal-oxide (MMO) technology; a longer lasting, more eco-friendly advanced technology compared to graphite, magnesium or high-silicon cast iron anodes. In addition to our unique manufacturing assets, we have a long track record of providing turnkey corrosion prevention solutions, including all required services from conceptual design to ongoing maintenance.